Vegim’s journey into the underground began in the early 1990’s. At first, music was just a hobby. Once he began collecting records his obsession grew stronger and he invested in his first pieces of music equipment. 1998 was the year Vegim became a full time slave to nthe underground. He rapidly developed his skills as a DJ and in his Production. By the age of 18 Vegim had already discovered his lust for House & Techno. The desire to tell his story through music took over and Vegim has never looked back. Vegim’s earliest experiments in the studio go back to around 2002. After about 4 years of hard work, he released his first EP – TMMR – Creature 3000 with Nani Killa, this is his first tune which went on to receive support from a lot known World DJs. 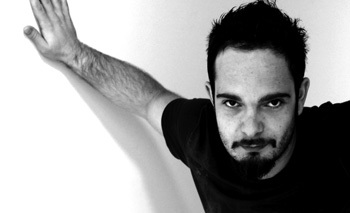 Today, Vegim is recognized as one of Techno’s most influential artists. Not only a skilled DJ/Producer but also a graphics designer and coneptionalist that has a style unlike any other. He has released his own tracks and done countless remixes for many of the best known labels in the Techno realm. In addition to being a high demand producer, his live performance is one of the most unique in Techno. His sound and mixing ability combined tell a story that is one of a kind. Vegim has traveled a long road since he began and he is now recognized as a symbol of Techno worldwide.